Last week saw the release of Aurion: Legacy of the Kori-Odan, the first major video game made in central Africa. Cameroon-based gamemakers Kiro’o Studios ended a successful crowdfunding campaign last October to help them finish the action role-playing game. 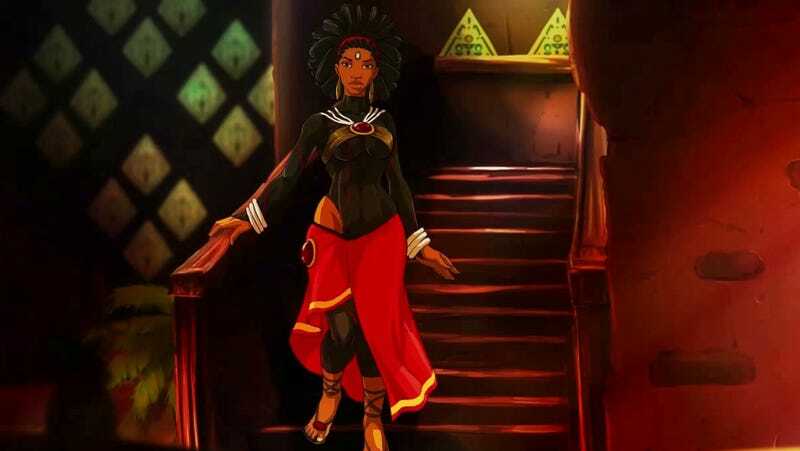 Aurion’s main storyline concerns main character Enzo’s quest to regain the throne of Zama after being ousted in a coup orchestrated by his brother-in-law. Enzo and his wife Erine travel the world of Auriona in exile, searching out other Aurionics—people with fantastical genetic super-abilities—so the newly crowned king can increase his understanding of Aurionic powers and his skill at tapping into those elemental forces. Aurion paints its story with a big emotional palette. There’s crass sexual humor, newlywed bickering, refugee anguish and the quest to align oneself with historical legacies and purposes. In the videos below, you can see Enzo and Erine coming to grips with the realities outside their relatively pampered lives in Zama. They can’t simply go where they please and have to grapple with criminals looking to exploit refugees from other lands.